Custom braided jewelry using tail hairs from your horse. 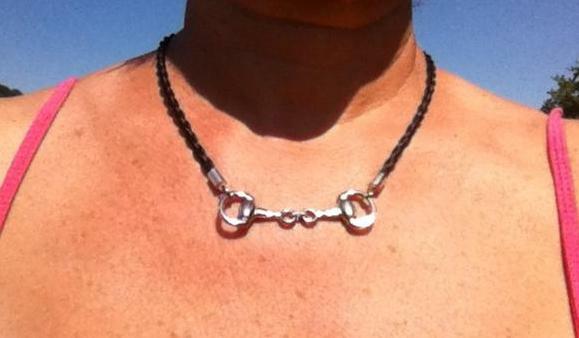 Silver large snaffle bit necklace with movable joint. Also available in gold. A beautiful keepsake. A treasured memory. This got started because I wanted something from Sonny. He was our first baby, the horse I finished out my USDF bronze medal on and the first horse I ever did tempi changes on. We let him go when he was 23. I collected some of his tail hairs and wanted a piece of horsehair jewelry from them but didn't see any designs that I liked. Many of them were also very expensive. So I learned how to make a 4 strand round braid and hunted around for findings. I settled on the snaffle bit design since I ride dressage it fit my style better than anything I had seen on the market. I was also able to make a few pieces for other people who were a part of Sonny's life. I've gotten a lot of nice complements when I wear the snaffle bit necklace and thought other people might like something like this. 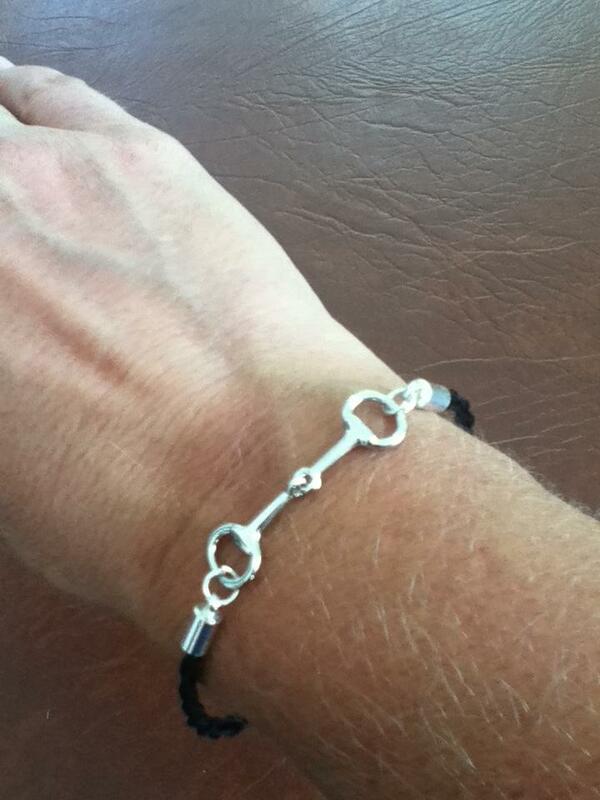 Silver snaffle bit bracelet. Also available in gold.